Well-researched historical fiction can have a profound impact on a reader, particularly when it touches on a subject as fascinating and appalling as the persecution of “witches” in England in the 17th century. Alison Williams tackles this difficult topic in her novel The Black Hours, evoking a dark, terrifying mood that made me appreciate yet again that I wasn’t born a few hundred years ago. Her story not only graphically details the blind paranoia of the times and the torture used on women accused of witchcraft, but also exposes the vulnerable powerlessness that women in general were exposed to at that time. Alison shared her insights on researching and writing her novel, as well as what inspired her to explore the dark topic of witchcraft. I live in Basingstoke, a town in Hampshire in the south of England. I originally trained as a journalist and met my husband at college. We have been married for 19 years and have two teenage children. I worked in education for several years, mainly with children with special needs. In my forties I decided that I needed to focus on my writing so took a Masters in Creative Writing. This really helped with my novel – part of The Black Hours was submitted in my final portfolio. 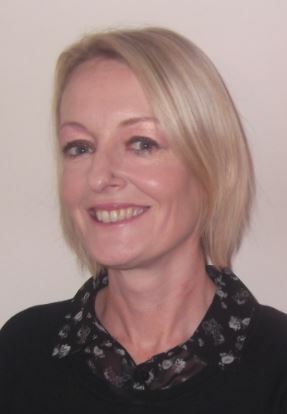 I now write full-time as well as helping out with my husband’s PR business. I love to read – my favorite authors are Hilary Mantel and Elizabeth Kostova. I also like to watch movies (especially if they happen to be starring Johnny Depp or Ryan Gosling!). I also love music and like to see bands live whenever possible – in the last month I have seen Johnny Marr, Arctic Monkeys and Stereophonics. I’m happy to say that my kids often come with me – although usually because I’m paying for the tickets! 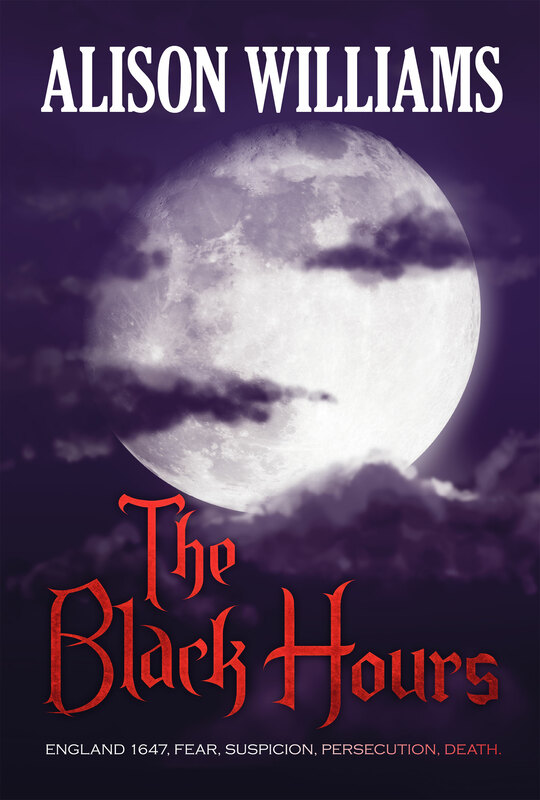 What was the original inspiration for your historical drama, The Black Hours? I’ve always been extremely interested in history and, in particular, women’s history. I find it rather sad that a man like Matthew Hopkins <the villain of the novel> actually existed and did the awful things that he did, but that he is not really that well-known. In fact, a lot of people that have read The Black Hours think that I made him up! He was responsible for hundreds of deaths in England yet is hardly mentioned in our history books. Consequently, I really feel his victims have largely been forgotten – all too often they are just names on a list in a book or museum. We tend to forget that they were real people, with real lives, families, dreams, hopes and fears. What they suffered was dreadful and I really felt compelled to give them a voice. Although The Black Hours is fiction and Alice <the protagonist of the novel> never existed, the methods Matthew Hopkins uses in the novel are all methods actually used on real victims. I hope, in some small way, the novel pays tribute to those real victims. You have a gift for creating a distinctly dark and desperate mood that permeates your novel. Did you consciously cultivate this tone, and if so, what were your techniques? Thank you! I’m so glad that the desperation of the women comes across. I think that the tone comes naturally as a result of the subject matter. I felt that I had to try and put myself in their shoes (as much as a 21st century woman can) and try to understand and express how they must have been feeling as their world and everything they loved was threatened and ultimately destroyed. The biggest compliment I have had was from a reader who said that she was actually shouting at Matthew as she read because she felt as frustrated as Alice must have felt. That helplessness, frustration and despair, that feeling that there was nothing you could possibly do to help yourself out of this terrible situation, was what I imagined his real victims must have felt. The Black Hours also explores the complex gender and power relationships at a particular point in history. Do you feel that your protagonist, Alice, is empowered by the end of your novel? I have a real problem with some female characters in historical fiction who manage to fight against the odds and be independent, free and liberated. While I want Alice to be empowered and strong, which I think she is, I also want her to be realistic. I think it does a disservice to women of the past when modern day writers ignore the constraints that women lived under. By making them falsely brave or heroic I think they take away something from the everyday bravery that many, many women had to have in order to just survive. In 1647, Alice was empowered by simply being able to live alone and fend for herself. I am learning all the time! I think that marketing is really tough because there are so many other books out there fighting for the readers’ attention. The best thing I have done is to develop a support network of other independent writers. I don’t think it helps to see other indie authors as the competition, rather I see my self-published colleagues as friends. I know that I can ask them for advice and support and in return I am happy to offer my own advice and support. I meet up with a group of four other writers once a month. We all write in different genres and have very different styles. We have, in the past, swapped genres and had a go at writing a piece in a genre we were really uncomfortable with. I got science fiction/fantasy! I can’t say I was exactly inspired, or that my attempt was very successful, but it was good to stretch my writing. I have to have total silence when I work. Any noise is instantly a complete distraction. Even the dog has learnt to be quiet in the day when I’m sat at my desk! It’s a shame because I’d love to have music on or listen to the radio, but if I do that then my focus is instantly on whatever song is playing and not on my writing. I must have a terrible attention span! Noise isn’t the only thing that distracts me – working from home there’s the chores, the telephone ringing, the doorbell and of course Facebook and Twitter to distract. What I’d really like is to have a house with enough land to build a little office at the bottom of the garden where I could hide away from everyone and everything and just get on! This entry was posted in Author Interviews and tagged Alison Williams, historical drama, self-publishing, The Black Hours by conjurors. Bookmark the permalink.